The GLOBE Communications team features a new series - "Who's Who at GLOBE" Intimate stories about our fabulous GLOBE Staff - Meet our hardworking school officer! You may have seen him walking the halls at our school or driving through the loop at Charles McDaniel Park. If you’ve ever had the occasion of driving past the school at 2:00 or 3:00 a.m., you may have seen his and several other squad cars responding to an alarm at school. 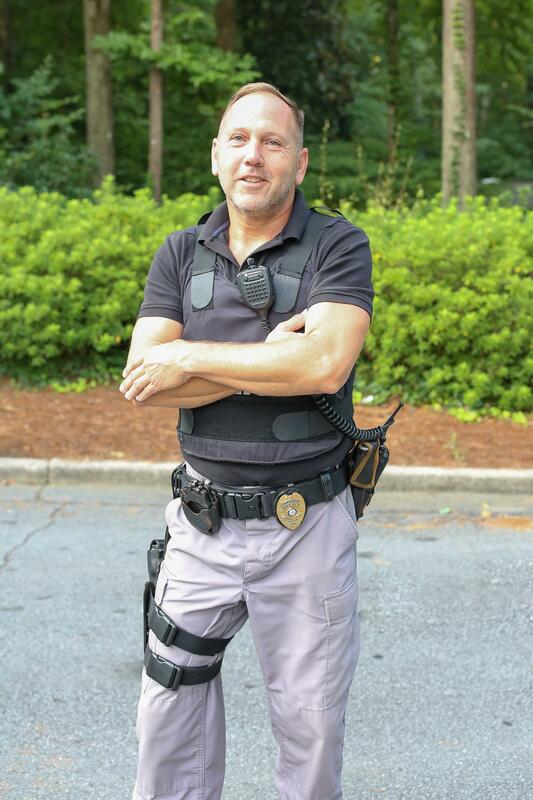 However, most of us are used to seeing him patrol, manage, and direct our carpool line at Lower Campus on school day mornings and afternoons, as well as afternoons at Upper Campus. We talked about Cpl. Bollinger’s morning and afternoon watches at our school. I know that Cpl. Bollinger is well liked by the families here and I told him that I thought he’d be missed if he ever got reassigned to another school. “So, GLOBE is paying for a policeman to work security for our school?”, I asked. “That’s right. Other schools like Lakeside High can call the county and have someone assigned to that duty at no additional cost…all of the public schools can, but so many choose not to. I have a lot of respect for GLOBE for going to this extent to ensure the safety of their students and families. And most people think I’m here to just direct traffic. You’ll see me walking the halls on some days. If it’s a slow night at work, I’ll park my car at McDaniel Park because I know there are incidents of kids leaving beer bottles and trash at the park.”“I’d hate to be those kids on a night when you walk out of the bushes!”, I laughed. “Ha, ha [long pause, but with a smile] I’d have to think looong and hard about it,” he answered. Who will take on the task of a GLOBE #lipsyncchallenge this fall? Written by Michele Noma of Oak Tree Creative Studio. 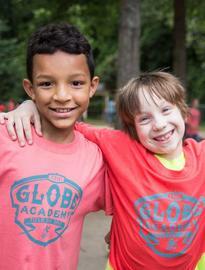 Michele is a GLOBE parent. She takes school pictures, loves gadgets + coffee, and is considered a writing style dinosaur for still using two spaces after a period.